John Axford has re-signed with the Toronto Blue Jays as he continues to rehab his elbow injury, according to TSN's Scott Mitchell. John Axford returns to #BlueJays on another minor-league deal. Still shut down for about a month with an elbow issue. The 35-year-old signed a minor league deal with the Blue Jays in February but was released on Saturday. After re-working his deal, he is back with the club. Earlier this week the team announced that Axford had suffered a stress reaction in his right elbow. Mitchell reports he will be shut down for about one month. Axford appeared in five games for the Jays in Spring Training and posted a 2.08 ERA, surrendering one earned run in 4.1 innings. 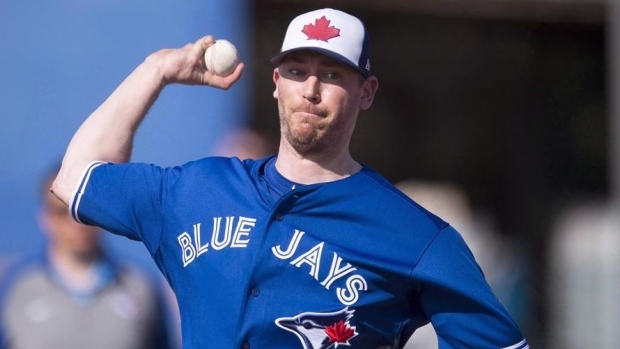 The Simcoe native split the 2018 season between the Jays and the Los Angeles Dodgers and posted a 4-1 record with a 5.27 ERA in 50 games.